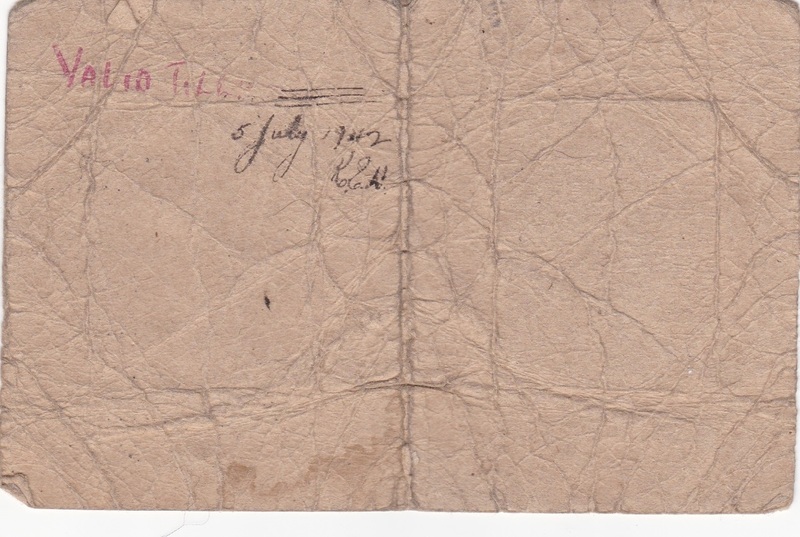 D620. 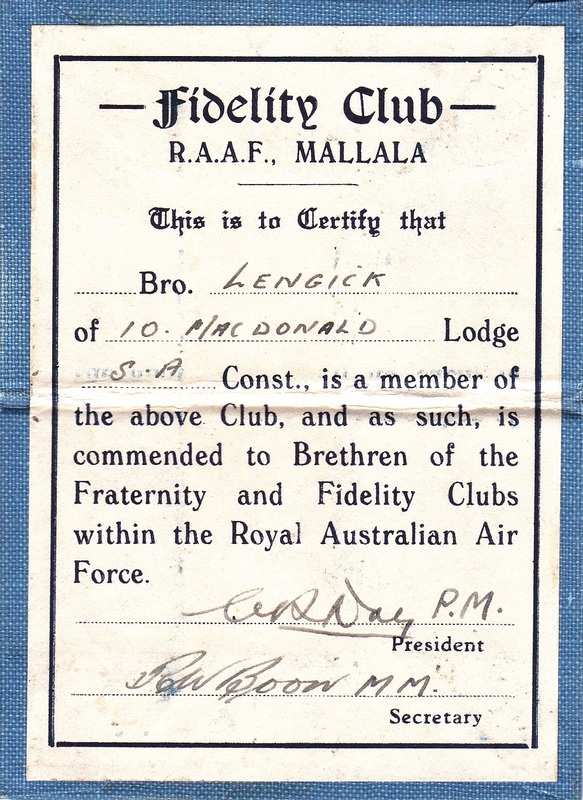 An Identity Card named to Bro Lengick of the Fidelity Club RAAF Mallala SA, possibly post war. 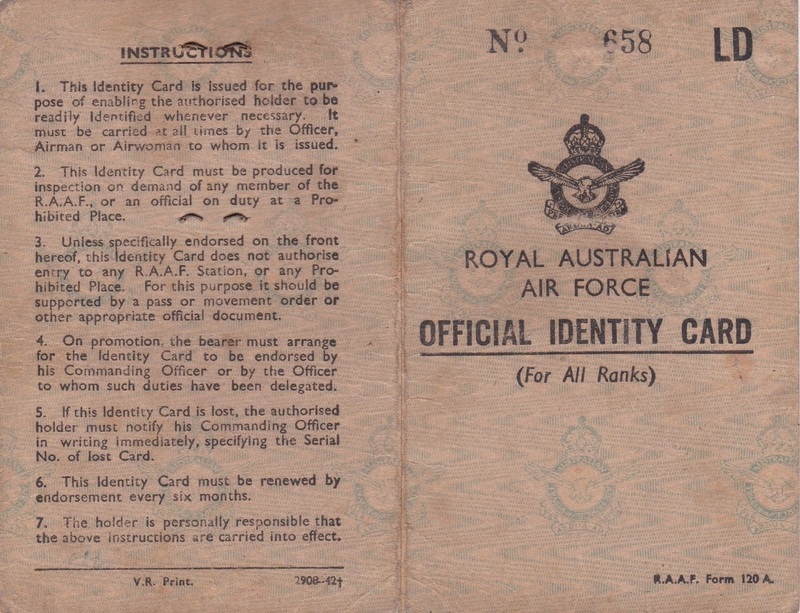 D655. 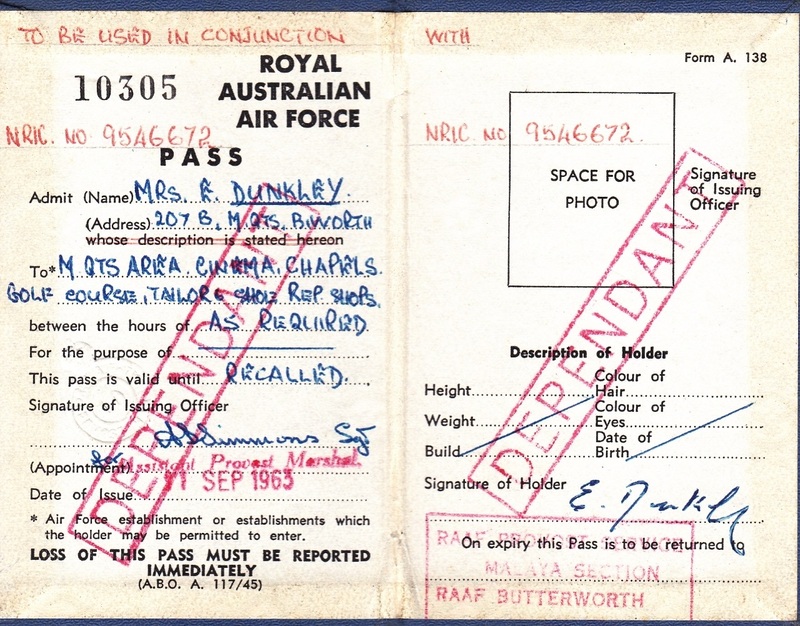 An Official Identity Card named to Mrs E Dunkley noting the areas she is allowed to enter at RAAF Base Butterworth, dated 1965. 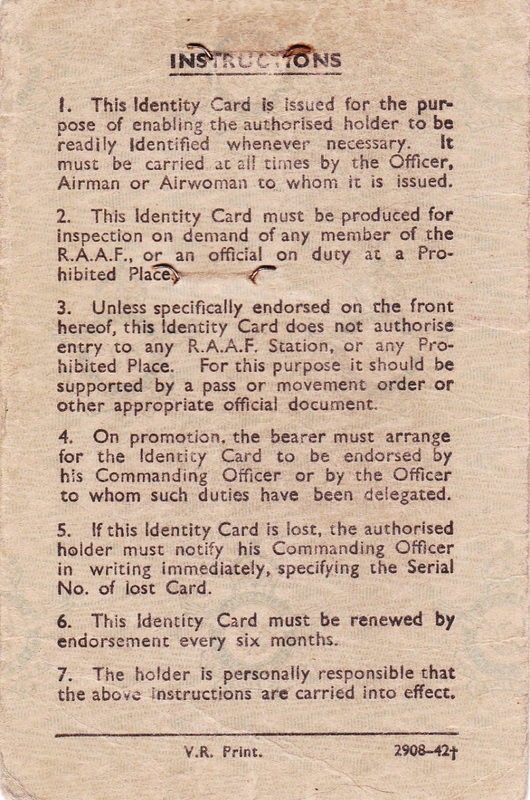 D715. 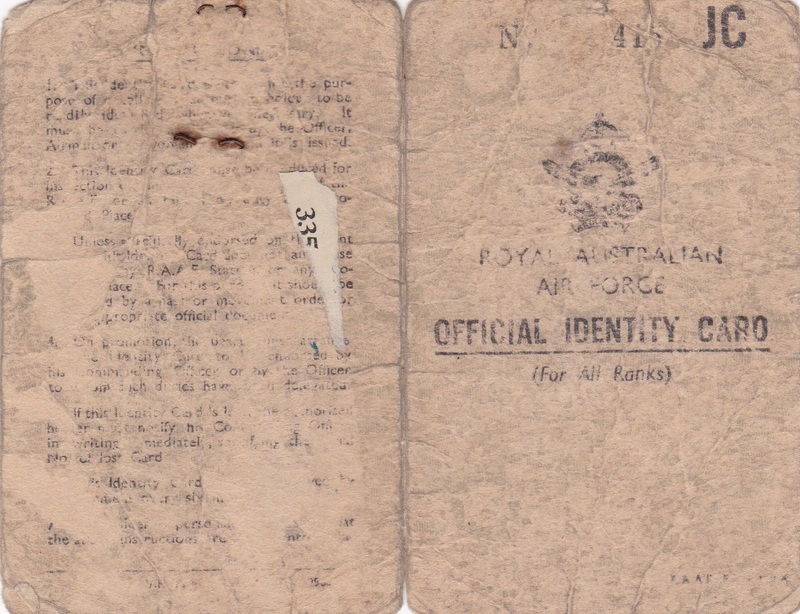 An Official Identity Card named to 60484 McDougall R. C. Raymond Charles McDougall enlisted on 19 Aug 1941 at Sydney and discharged on 8 Apr 1946 from 2 Recruit Depot with the rank of Sergeant. 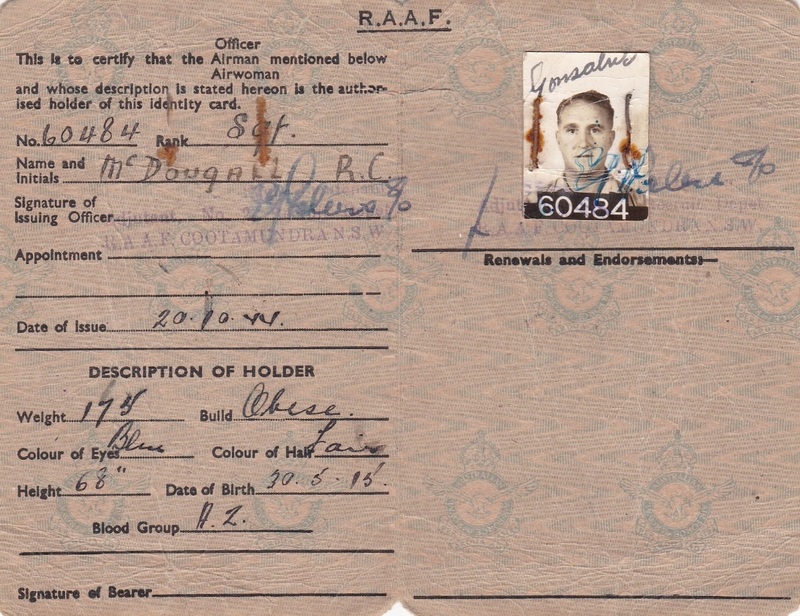 D789. 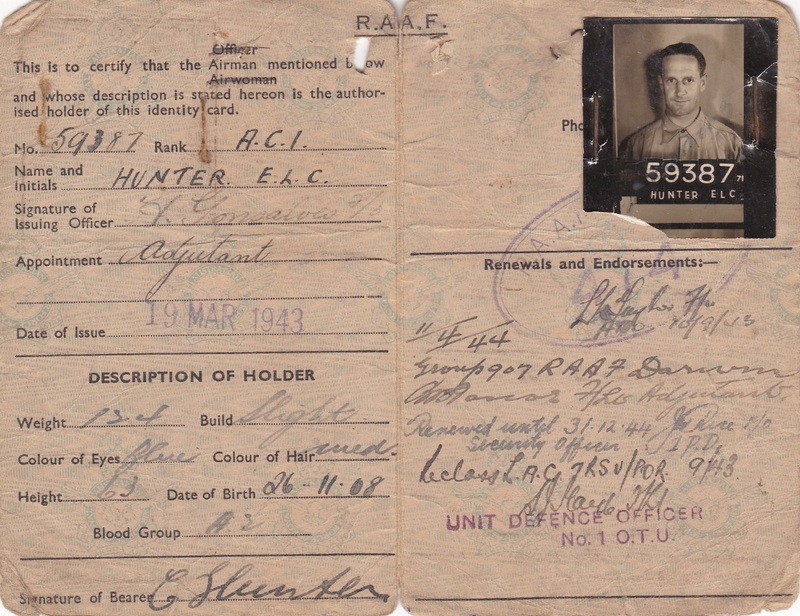 An Official Identity Card named to 59387 Hunter E. L. C. Ernest Lewis Campbell Hunter enlisted on 28 Jul 1942 at Melbourne and discharged on 7 Nov 1946 from RAAF Station Laverton with the rank of Leading Aircraftman. 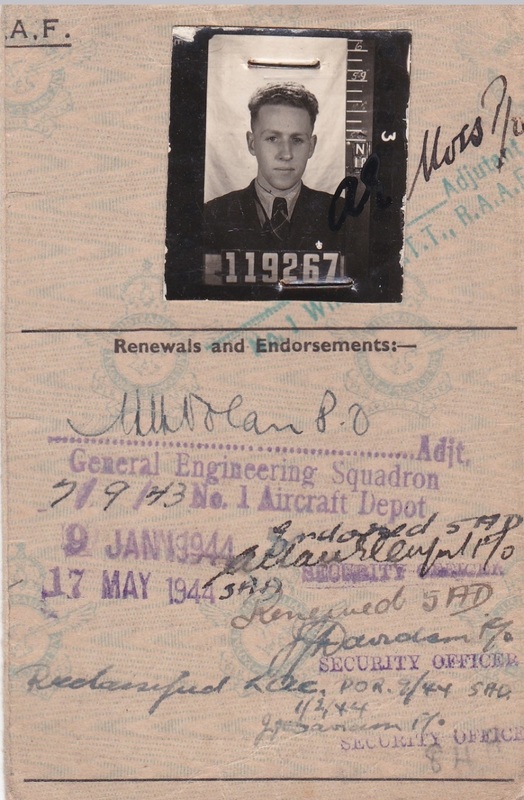 D836. 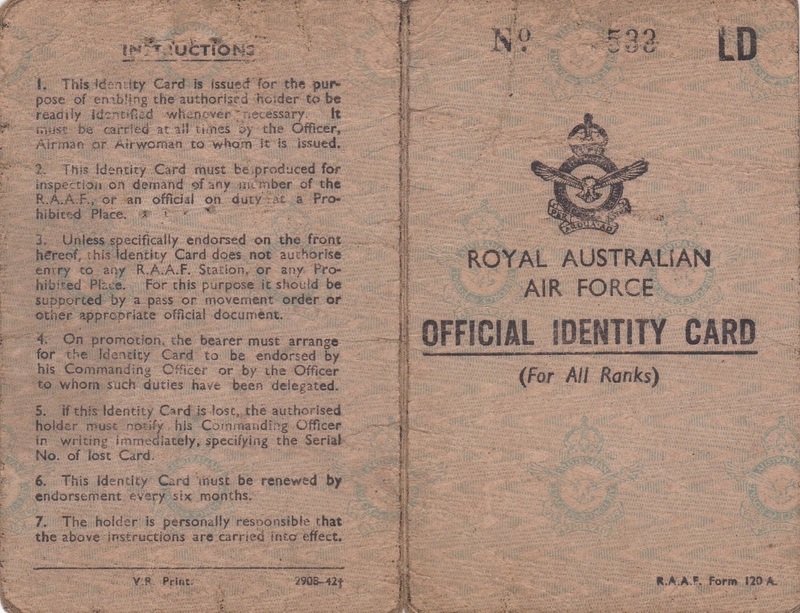 An Official Identity Card named to 133798 Henderson J. 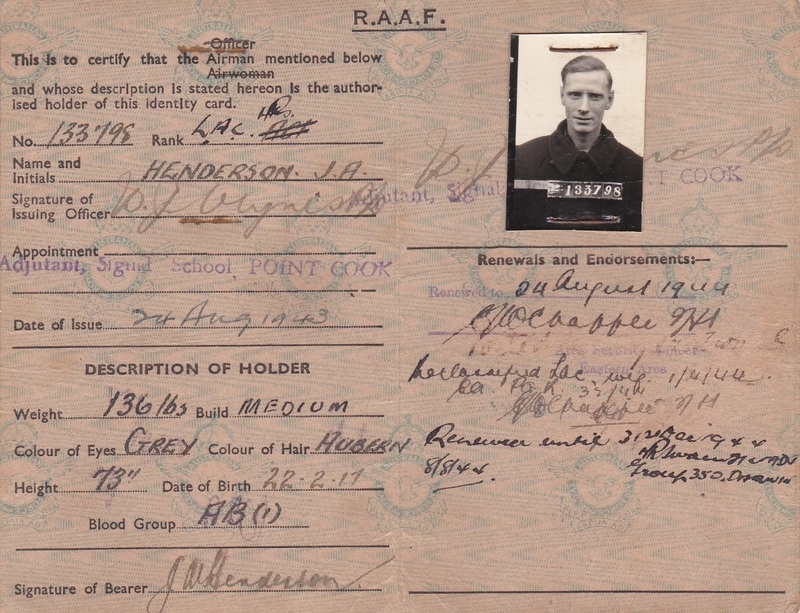 A. John Arnold Henderson enlisted on 11 May 1943 at Sydney and discharged on 10 Jan 1946 from NWA W/T with the rank of Leading Aircraftman. 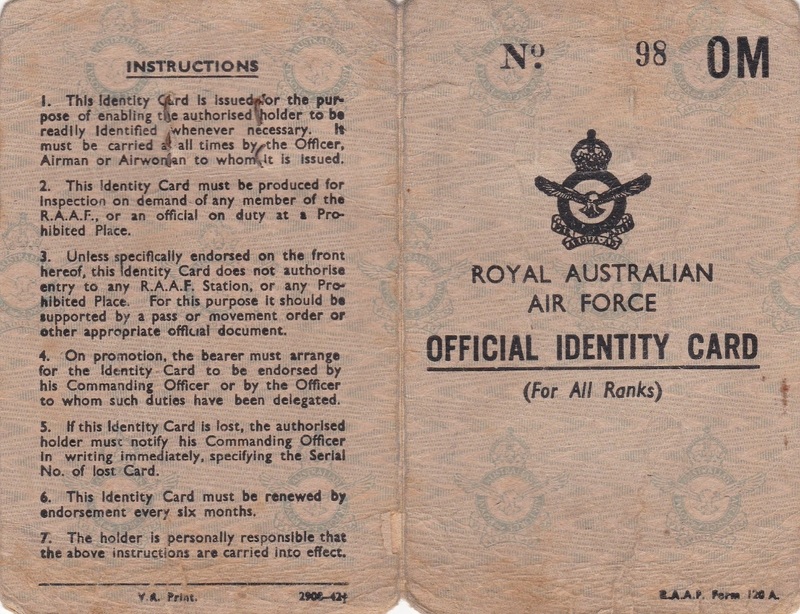 D1184. 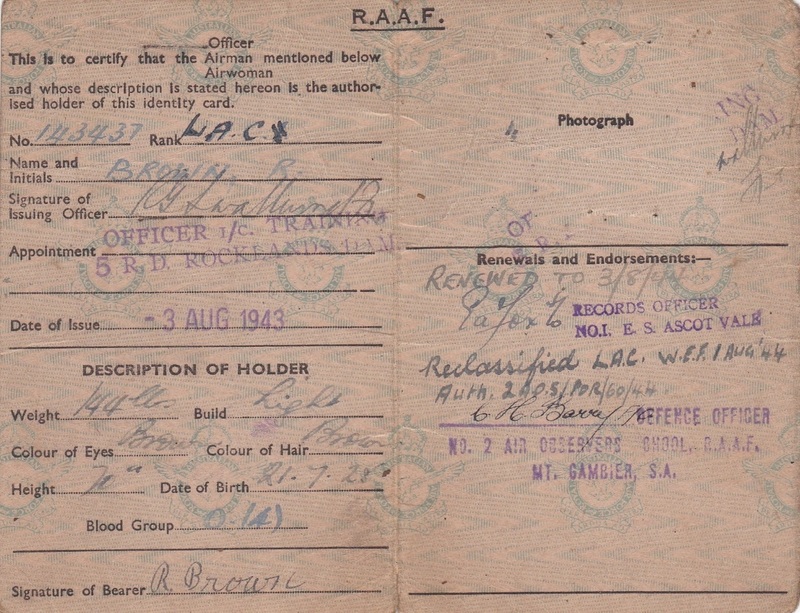 An Official Identity Card named to 143437 Brown R. F. Robert Brown enlisted on 21 Jul 1943 at Melbourne and discharged on 8 Jul 1946 from 2 Air Observer School with the rank of Leading Aircraftman. D1205. 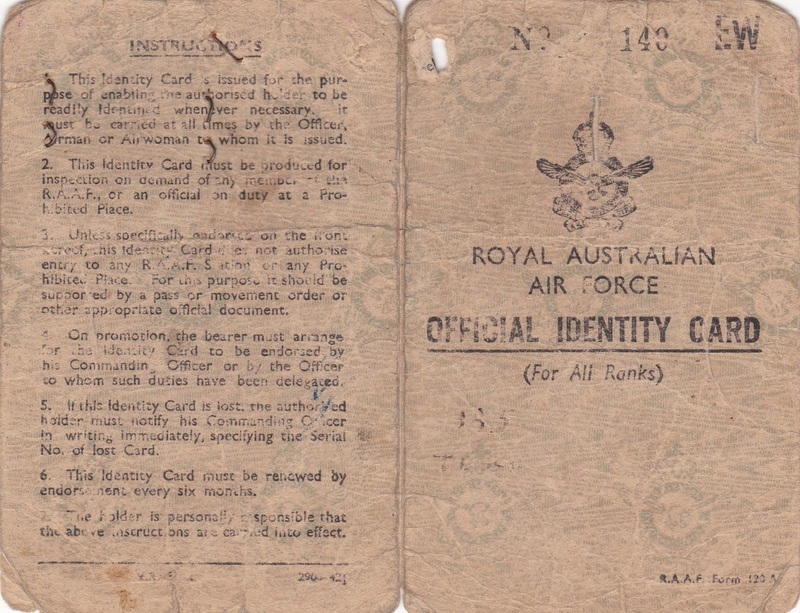 An Official Identity Card named to 119267 Frame D. B. Douglas Bruce Frame enlisted on 6 Oct 1942 at Melbourne and discharged on 4 Feb 1946 from I Engineering School (STAFF) with the rank of Leading Aircraftsman. 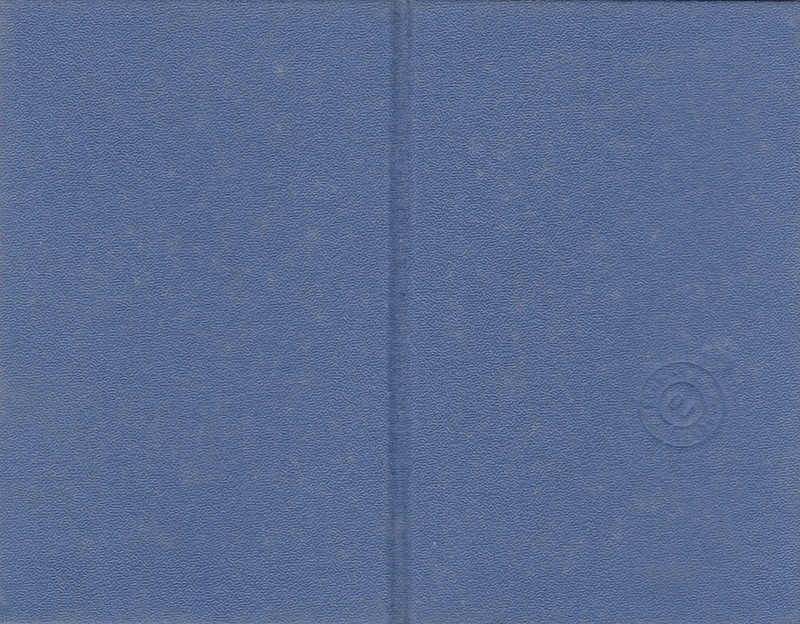 D1213. 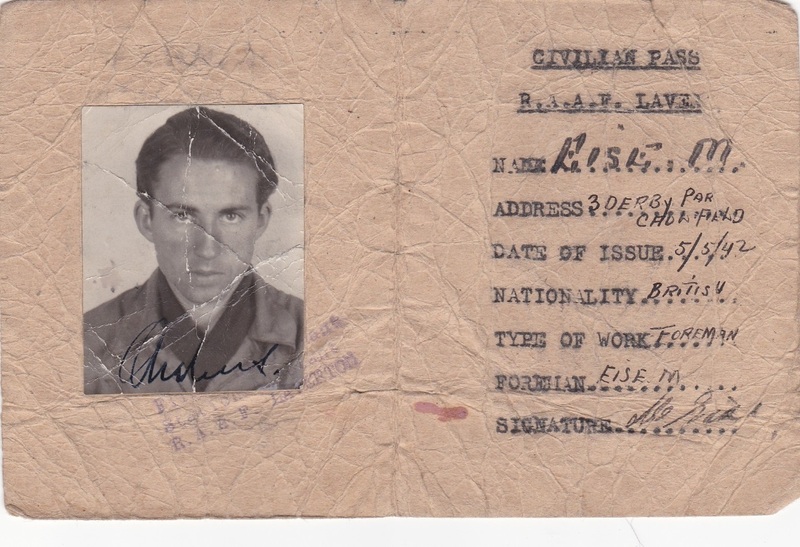 An Official Identity Card named to Eise M a civilian foreman at RAAF Laverton dated 5 May 1942. D1255. 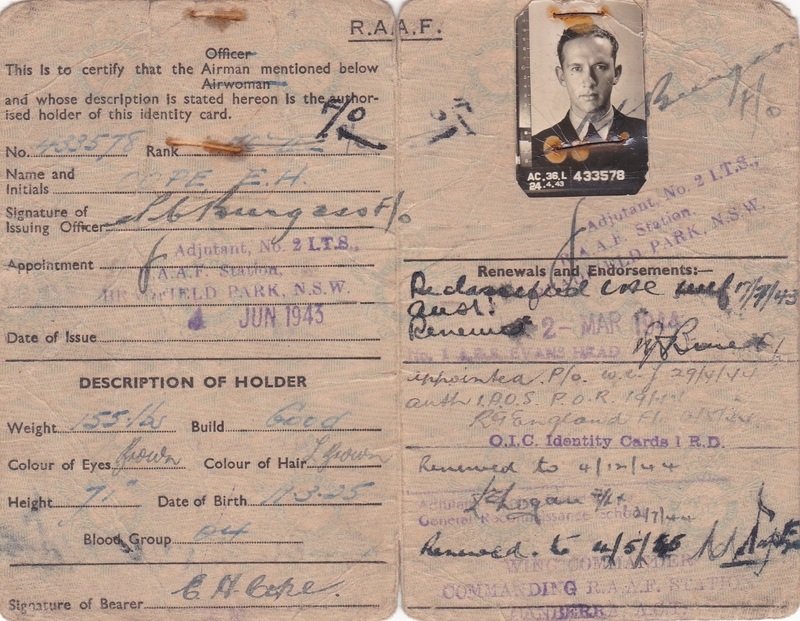 An Official Identity Card named to 433578 Cope E. H. Eustace Henry Cope enlisted on 24 Apr 1943 at Sydney and discharged on 23 Apr 1946 from 37 Squadron with the rank of Flying Officer. 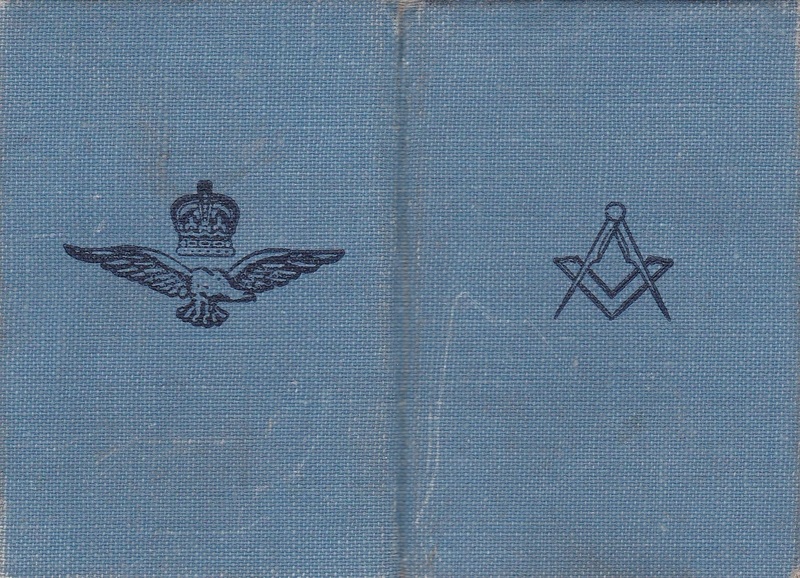 D1310. 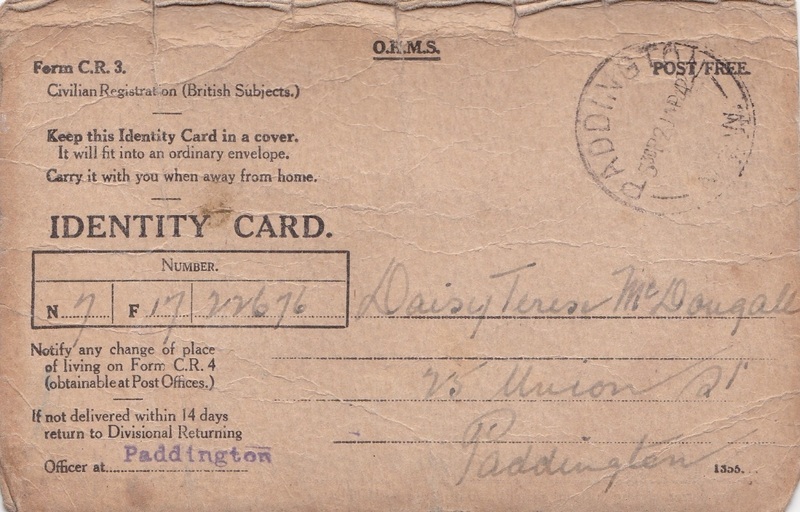 An Official Identity Card named to Daisy Teresa McDougall of 75 Union St Paddington with notations for ration book issued for one child. 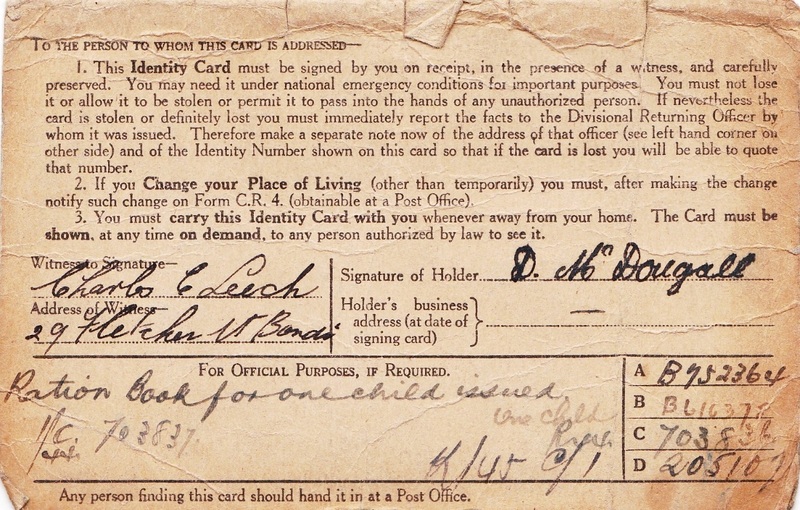 Teresa was the wife of 60484 McDougall Raymond Charles.